However, Business Secretary Greg Clark told ITV’s Peston programme that he did not think “those technical possibilities are there yet”. Mrs May also wants to discuss a time limit on the backstop and a “unilateral exit” mechanism – both options ruled out by the EU in the past. The message from the EU though was the backstop remained an integral part of the withdrawal agreement – the so-called “divorce deal” agreeing the terms of the UK’s exit from the EU. Mr Barnier said: “Calmly and clearly, I will say right here and now – with this withdrawal agreement proposed for ratification – we need this backstop as it is. Mrs May had a 45-minute phone call with the President of the European Council, Donald Tusk, on Wednesday evening, described as “open and frank” by one source. The Irish Taoiseach, Leo Varadkar, also spoke to Mrs May and said the latest developments had “reinforced the need for a backstop which is legally robust and workable in practice”. 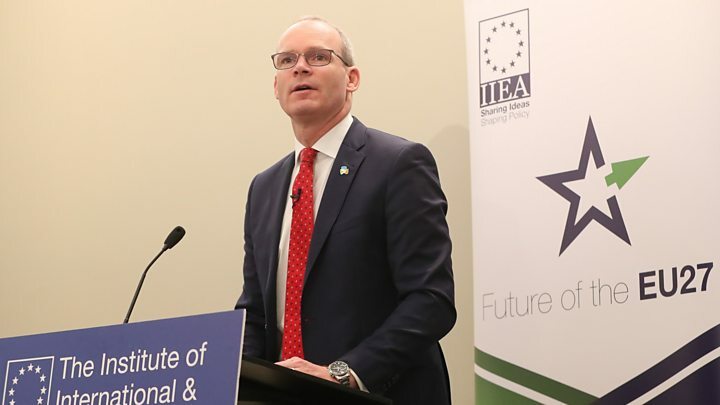 Earlier, his deputy, Simon Coveney, gave a warning over Mrs May’s future plans for the backstop, saying that anyone who allowed the “borders and divisions of the past” to return would be “judged harshly in history”. President of the European Commission Jean-Claude Juncker said he believed Mrs May’s “personal commitment” to avoid “slipping back to darker times past”, but he said the “safety net” of the backstop was necessary to prevent it. The former UKIP leader told the European Parliament: “I accept [Mrs May] made a dreadful mistake by signing up to the backstop, [but] you summoned her at 04:15 in the morning, she left Downing Street, she went to meet the ultimatum you set her. “She signed up to something that has proved to be a disaster. She signed up to something that no country, unless it had been defeated in war, would have signed up to. 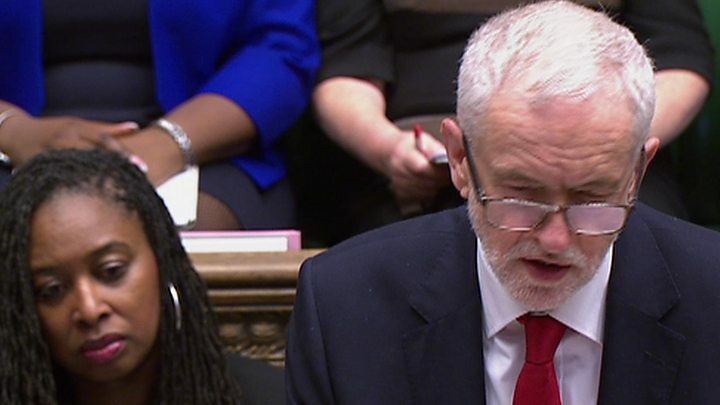 At the same time as the European Parliament was discussing Brexit, Mrs May and Labour leader Jeremy Corbyn were holding their long-awaited meeting on the issue, following an earlier clash at Prime Minister’s Questions. Their later meeting, away from the cameras, was “very cordial”, according to a Labour spokesperson. The European Parliament’s Brexit coordinator, Guy Verhofstadt, echoed his colleagues by criticising the UK for not being clear about what they wanted from the deal. He said the two years had been “exhausting” on both sides of the Channel, and called for Mrs May and Mr Corbyn to work together – “not only eating biscuits and drinking tea” – to come to a cross-party solution and to stop “using and abusing Brexit to get rid of each other”.